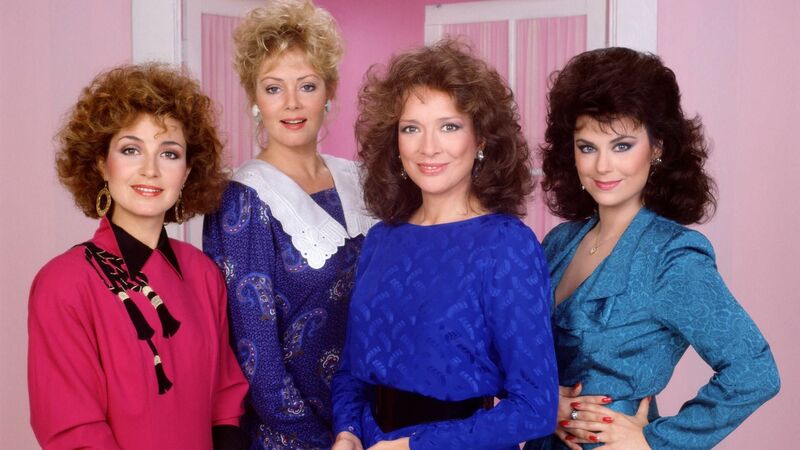 Here's where to watch every episode of Designing Women season 5. Mouseover or tap an episode to see where to stream it. Click or tap the play icon to stream it on the best available service. A Blast From the Past Sep 17, 1990 Sugarbaker's is beset by tourists when the building's Civil War foundation puts it on the Tour of Historical Homes, Mary Jo opens her heart to an old friend eager to make good on a marriage pact they once entered into. Papa Was a Rolling Stone Sep 24, 1990 Charlene aims to make Anthony's 30th birthday a memorable one -- by hiring a private detective to find his long-lost father. Working Mother Oct 1, 1990 Resentment builds between Charlene and Mary Jo when Charlene wants to take a year off to look after her baby. The decorators cater to the whims of a rich, insufferable 10-year-old client as Mary Jo and Charlene ponder the joys and pitfalls of working mothers. Miss Trial Oct 15, 1990 Julia's dinner plans with former President Jimmy Carter and his wife are put on hold when her slow-moving jury gets sequestered. The Bachelor Auction Oct 22, 1990 When organizational confusion leads to Suzanne winning a date with Anthony in a bachelor charity auction, the two reluctantly try to make the best of a very awkward situation. Charlene Buys a House Oct 29, 1990 As the proud new owner of a grand but ghostly mansion, Charlene hires the decorators to give the place a facelift -- not mentioning that it's haunted. Old Rebels and Young Models Nov 5, 1990 Charlene's baby, Olivia, auditions for a modeling job, Mary Jo finds one of her former teachers in a nursing home. Nowhere To Run To Nov 12, 1990 Mary Jo takes up jogging, and inadvertently helps turn Julia into a fitness zealot. A Class Act Nov 19, 1990 Anthony buys in to become a full partner; new student Charlene fends off an amorous psychology professor. Keep the Home Fires Burning Nov 26, 1990 With her husband away on a mission, Charlene guiltily draws close to a man in her support group for military spouses who wife is also away. Meanwhile, lottery fever sweeps Sugarbakers. My Daughter, Myself Dec 10, 1990 Mary Jo forbids her nearly 18-year-old daughter to date a 34-year-old, then dates him herself, Julia is forced to crash the men's room at a football stadium. And Now, Here's Bernice Dec 17, 1990 After Bernice gets a local public-access cable TV show, Mary Jo has her heart broken by a client and decides that Bernice's show is the ideal arena to air her views on men. Pearls of Wisdom Jan 7, 1991 Mary Jo borrows and loses a string of pearls flaunted by Suzanne, subbing as a lifestyles reporter for local TV news. Meanwhile, a recurring dream about Julia upsets Anthony. High Noon in a Laundry Room Jan 14, 1991 Anthony, concerned with his masculinity after working with the women so long, tries standing up to his bullying neighbor, and is further humiliated when the women come to his rescue. How Long Has This Been Going On? Jan 28, 1991 Everyone at Sugarbakers is baffled to discover that sensible Julia has covertly been singing evenings at a nightclub, Anthony tries to muster the nerve to ask out a girl who works at the bookstore. The Emperor's New Nose Feb 4, 1991 Bernice gets an extraordinarily bad eye tuck and rhinoplasty from a plastic surgeon whose work leaves something to be desired. Maybe, Baby Feb 11, 1991 Mary Jo, wanting a baby, turns to her friend and former beau; Suzanne takes up smoking as a way to diet. This is Art? Feb 25, 1991 Amateur painter Julia inadvertently becomes the darling of Atlanta's art scene when someone tries to buy her handbag while she's attending a gallery opening; Suzanne inadvertently glues her lips shut. Blame it on New Orleans Mar 4, 1991 When the gang attends a convention in intoxicating New Orleans, Mary Jo unwittingly sleeps with a married man. I'll See You in Court Mar 18, 1991 Mary Jo runs across the man who mugged her the year before, but faces horrendous judicial red tape to bring him to trial. The Big Circle Apr 8, 1991 Julia tries coping with her boyfriend Reese's death by looking after Randa Oliver, the supremely spoiled child of a client couple on an extended vacation. Friends and Husbands Apr 29, 1991 Charlene, readjusting to married life upon Bill's return from the Middle East, quits her and Mary Jo's children's-book project. Fore! May 6, 1991 Suzanne is jealous when Anthony is invited to be the first black (i.e., token) in the previously all-white Beaumont Country Club. The Pride of Sugarbakers May 13, 1991 Mary Jo and Julia demonstrate different coaching styles when their firm sponsors a Little League team.